FERC has named James P. Danly General Counsel, effective Sept. 18, 2017. He will replace David Morenoff, who has served as the commission’s General Counsel since February 2017 and will assume the position of Deputy General Counsel once the transition is complete. 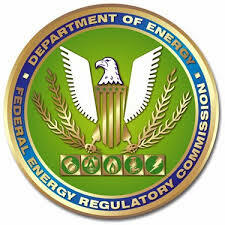 Danly comes to FERC from the energy regulation and litigation group at Skadden, Arps, Slate, Meagher and Flom LLP. Previously, he served as law clerk to Judge Danny Boggs at the U.S. Court of Appeals for the Sixth Circuit and, before that, was a managing director of the Institute for the Study of War, a military think tank in Washington, D.C. He also served an International Affairs Fellowship at the Council on Foreign Relations. Danly is a former U.S. Army officer who served two deployments to Iraq, first with an infantry company in Baghdad and then on staff at Multi-National Force—Iraq, receiving a Bronze Star and Purple Heart. Danly earned his juris doctor from Vanderbilt University Law School, and his bachelor’s degree from Yale University. He is licensed to practice law before the U.S. Court of Appeals for the District of Columbia Circuit.